Sunday was filled with great games. The final one happened Sunday night with the Dallas Cowboys vs the New York Jets. 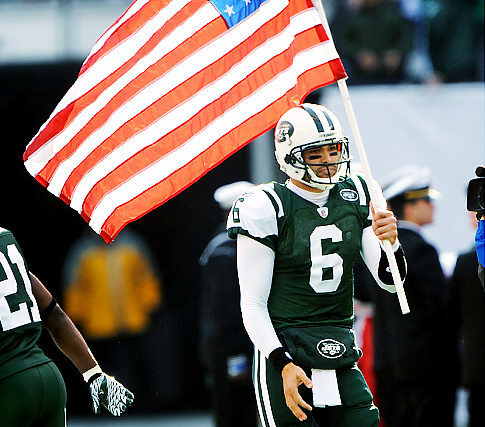 The Jets were at home and the 9/11 ceremony was a nice way to start out the contest. Tony Romo and Dez Bryant were hooking up early. Romo got Dallas on board with a touchdown to Bryant. Mark Sanchez finds tight end Dustin Keller to make it a tie game, 7 a piece. A nice little scrap for the football happened in the Dallas end zone as Miles Austin fights off Antonio Cromartie to tack on 6. It is good to see Plaxico Burress suited up with the Jets. I hope everything is going good with him and his new squad. Felix Jones ran a short touchdown in to put the Cowboys up 24-10. Never say never. Good old Plaxico grabs a long ball to make it 24-17. Tony Romo has had a history of losing the football and it has cost him. It happens again, right near the end zone. Great defense by the Jets, blocking a punt and running in for a touchdown. Well done. Romo gets picked off with a tie ball game. Thirty two seconds left and New York kicks in a 50 yard field goal to end with a 27-24 victory. What a game.